Bridges represent some of the most recognizable landmarks in the world. The most famous bridges of the world are historically important, examples of excellence in engineering, visually spectacular or all of the above. Drones allow us an unprecedented view of these stunning structures. 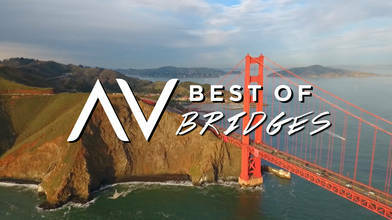 Watch the film above to embark on an aerial tour of the world’s greatest bridges! Want to see more of the world’s most incredible bridges? Click here to view the entire collection of drone videos.